Facing an array of unknowns about federal policy, Democratic Attorney General T.J. Donovan on Wednesday created a wide-ranging task force to explore and address issues related to immigrants and the law. The task force’s mission is to address those unknowns as they become knowns, and advise Donovan on how to respond. In purely political terms, the task force is a masterpiece of networking. 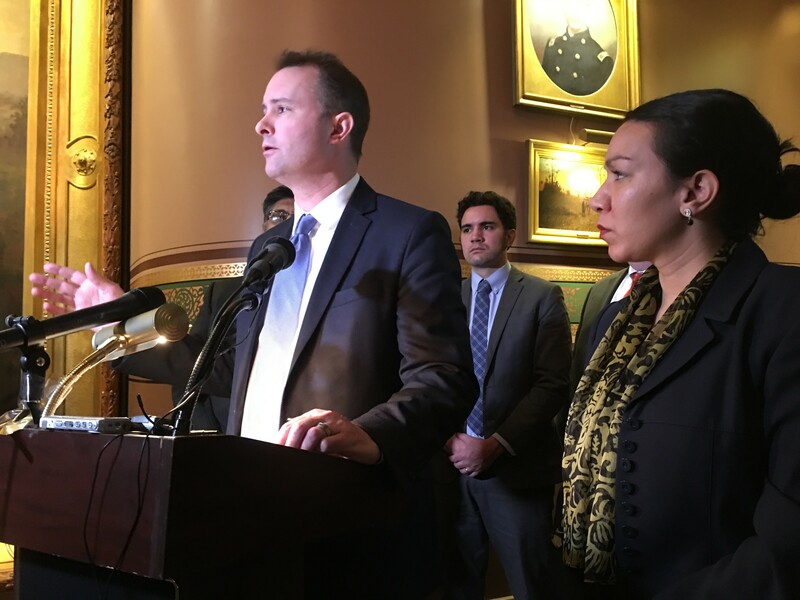 Donovan cast a wide net through Democratic and advocacy circles, essentially enlisting some very influential people onto Team T.J. And two of the three cochairs represent that rarest of commodities in Vermont — visible minorities. The cochairs are: Faisal Gill, Winooski attorney, generous Democratic donor, and unsuccessful candidate for state senate in 2016 who has vowed to run again in the future; Kesha Ram, former Democratic state representative and 2016 candidate for lieutenant governor; and Jake Perkinson, former chair of the Vermont Democratic Party. Other members include: Jay Diaz, a staff attorney with the Vermont chapter of the American Civil Liberties Union; Karen Richards, executive director of the Human Rights Commission; Deb Volk, a local immigration attorney; Erin Jacobsen, a law professor at Vermont Law School; Capt. Ingrid Jonas of the Vermont State Police; and Tris Coffin, a local attorney and former U.S. Attorney. Two other members have yet to be named. One will be nominated by House Minority Leader Don Turner (R-Milton) and the other by Senate Minority Leader Dustin Degree (R-Franklin). Donovan has assembled a team of the most qualified, experienced, and connected people on immigrant law and policy. If anyone can explore this new environment and provide clarity, it’s them. At the same time, Donovan has placed himself front and center on a key policy issue for his political base, and pulled those qualified, connected people into his orbit.